Sea of Thieves has seen two major aspects of its late-game content temporarily disabled ahead of the release of its latest update, Cursed Sails. In a developer update posted yesterday, the game’s executive producer, Joe Neate, informed players that Skelton Forts and the Kraken had both been disabled to allow the update to go ahead without issue. While you might not have access to the Kraken or those forts at the moment, the new content in Cursed Sails should make up for it. The big highlight are skeleton ships, which offer PvE experiences without having to disembark to an island. There’s also a new Sea of Thieves ship, the Brigantine, which is perfectly kitted out for three players. 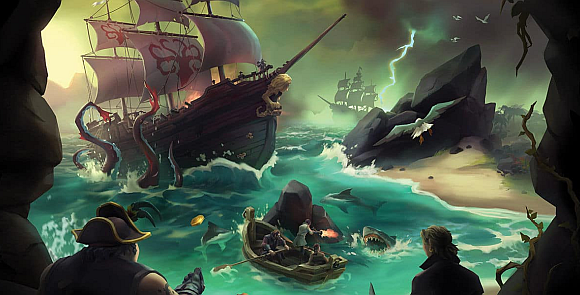 Sea of Thieves has now surpassed five million players, which is pretty good going, especially given the concerns about long-term content that surrounded the game’s release. You can check out Neate’s Kraken-related update in the video above.